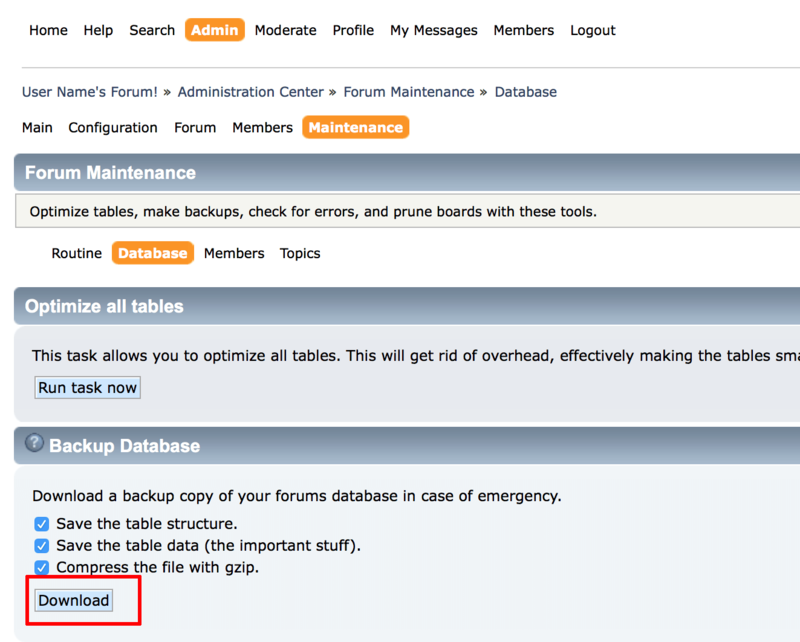 On the resulting page, select the “Maintenance -> Forum Maintenance -> Database Settings” sub-menu item. In the “Backup Database” section, click the “Download” button. You will be prompted to download a copy of your database in SQL format. Keep this file carefully as you will need it if you ever wish to restore your application database.